This entry was posted on January 24, 2011 at 9:24 pm and is filed under Dog Products, Dog Training Tips. You can follow any responses to this entry through the RSS 2.0 feed. You can leave a response, or trackback from your own site. Yes it is good to teach your dog not to jump up, especially big dogs. What is a no jump harness, never heard of that? 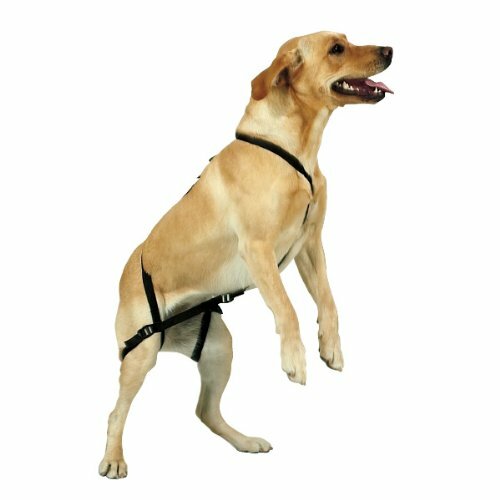 A no jump harness is that thing the dog is wearing in the photo. It keeps dogs from being able to jump more than a foot or so. My dog, Maya, really needed it when she was younger. She is super hyper and breaking the jumping habit was not easy.